FFA members across the state celebrated National FFA Week, Feb. 17-24. These state representatives and senators took time out of their schedules to join us. 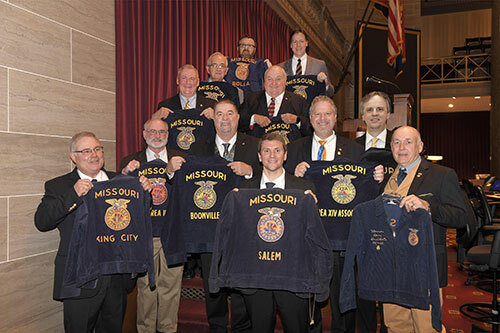 Missouri FFA says “thank you” to all state legislators who support agriculture and FFA. Front row: Rep. Rusty Black, Chillicothe; Rep. Jeff Pogue, Salem; and Rep. Warren Love, Osceola. Second row: Sen. Brian Munzlinger, Lewis County; Rep. Rick Francis, Perryville; Rep. Tom Hurst, Meta; and Rep. Jay Eggleston, Maysville. Third row: Rep. Nate Walker, Kirksville; and Rep. Don Rone, Portageville. Fourth row: Rep. Herman Morse, Dexter. Fifth row: Rep. Bryan Spencer, Wentzville; and Rep. Allen Andrews, Grant City. FFA members interested in agriscience are invited to take part in the Missouri Agriscience Fair May 8 in Columbia. Projects must be preregistered by May 1. Students may compete in no more than one group project and one individual project. If one student’s project is selected as the winner, that student must identify which project they will submit to the national competition. The non-chosen project will be recognized as runner-up and the second place project will be selected as the state winner. Schools may enter multiple projects in the same division and system. 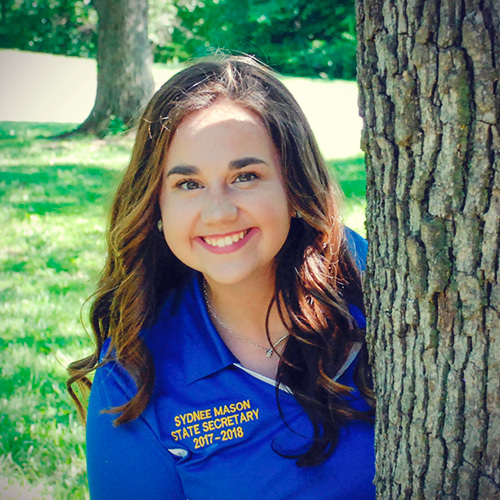 Whether you’re an energetic Greenhand or a high school junior looking to step up your leaderhip game before graduation, Missouri FFA has two exciting opportunities for you. Applications for HYMAX and HYPE leadership programs are both due March 1. Are you a future leader in Agriculture, FFA, and your community? If you answered YES, the HYMAX Academy is for you! HYMAX is a youth leadership conference designed for promising ninth grade students to reach their full potential! These FFA members will be prepared for future leadership roles, agricultural career exploration, and advocacy for agriculture. In addition, you will gain key strategies for SAE development, written and verbal communication skills, and career development. Most importantly, you will bring home tools to help you and your chapter achieve greater success! 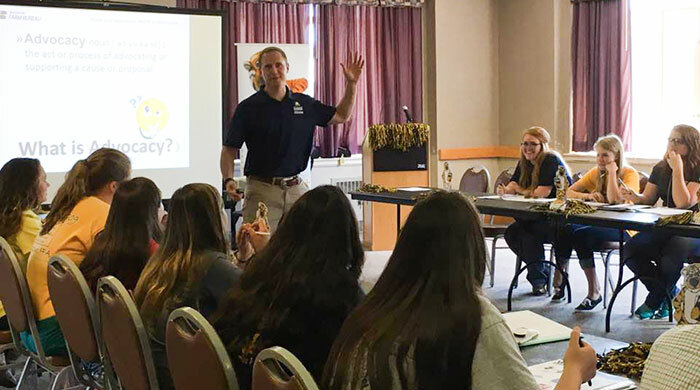 The HYMAX will further motivate Agricultural Education freshmen students during a weekend-long leadership conference. It will provide a foundation in agricultural leadership and prepare you to embrace agricultural and leadership opportunities throughout your high school career. In 2018, the top FFA Greenhands (up to a maximum of 100 students) will be selected to participate in HYMAX through a competitive written application process. Advisors may nominate up to FOUR students (two girls and two boys) per chapter. Students need to submit a written application, academic transcript, and two letters of recommendation. One of the two letters must be from your Agricultural Education Teacher/FFA Advisor and the second from a community leader that knows you and your leadership experience. 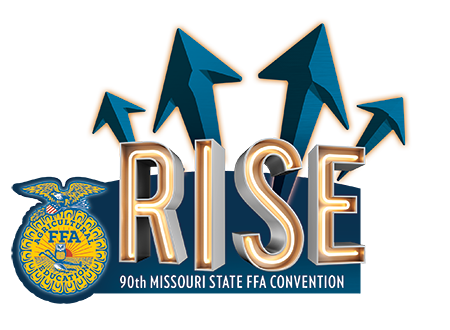 Academy members will experience this innovative agricultural leadership academy at the Missouri FFA Camp Rising Sun at the Lake of the Ozarks, June 15-17, 2018. A participant fee of $30 will provide lodging, meals, leadership materials, and Academy T-Shirt. All applications must be submitted to the Missouri FFA office by March 1, 2018. There are five parts to the written application: 1) information and signatures, 2) student narratives, 3) Ag Educator/FFA Advisor recommendation, 4) community leader recommendation, and 5) high school academic transcript. Please make sure that the information is correct on the applications, especially e-mail address. Students will be contacted prior to attending HYMAX using this e-mail address. FFA members will be notified of selection by April 2, 2018. Registration fee will be due by May 15, 2018. 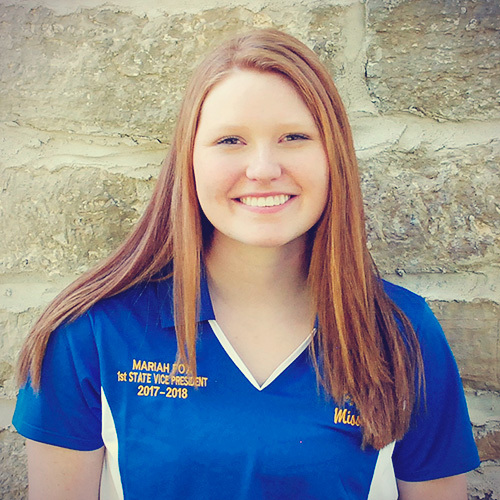 Are you a future leader in agriculture, FFA and your community? 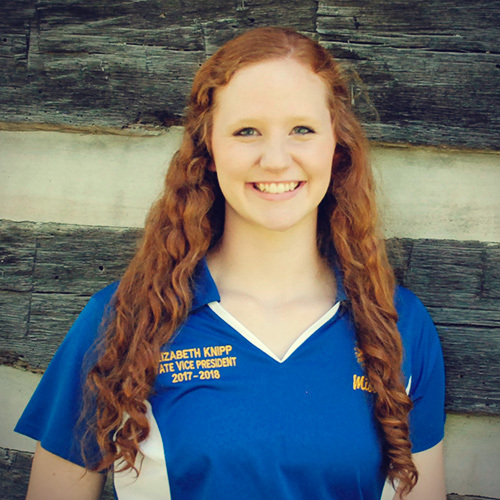 TOP 30 incoming high school senior FFA members to be advocates for agriculture. These 30 FFA members will receive hands‐on experiences to prepare them to communicate, lead and advocate for the agricultural Industry. In addition, you will gain strategies to continue strengthening your knowledge base in agricultural issues, sharpen your written and verbal communication skills and spark potential career interests. Most importantly, you will bring home tools to help you and other members in your FFA chapter tell the agriculture story! When, Where, and Why HYPE? The HYPE Academy will challenge 30 Agricultural Education students during an intensive three‐day academy June 26‐28, 2018. Held at the University of Missouri‐Columbia, HYPE will build on other important FFA leadership conferences you have participated in up to this point. Expect this leadership experience to be a hands‐on, engaging academy that will provide you skills to communicate, lead and advocate for the agricultural industry. In 2018, the top 30 entering high school seniors in 2018‐19 will be selected to participate in HYPE through a competitive written application process. Students need to submit a written application with five narrative responses, academic transcript, FFA member activity form, and three letters of recommendation. One letter must be from your Agricultural Education Teacher/FFA Advisor, the second from a school administrator (superintendent or principal), and the third from a community leader that knowsyou and your leadership experience. All applications must be submitted to the Missouri FFA office no later than March 1, 2018. There are six parts to the written application: 1) information and signatures, 2) student narratives, 3) Ag Educator/FFA Advisor recommendation, 4) community leader recommendation, 5) FFA member activity form and 6) high school academic transcript. Please make sure that the information is correcton the application. Students will be contacted prior to attending The HYPE Academy using submitted e‐mail address. FFA members will be notified of selection by April 2, 2018. For the last 27 years, our state FFA president has had the honor of addressing the Missouri House of Representatives. The theme of this year’s speech was Growing Leaders, Building Communities, and Strengthening Agriculture. 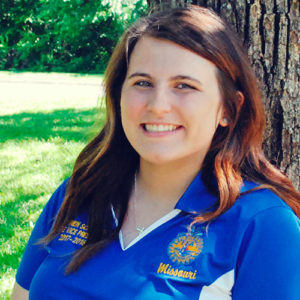 Click here for a first-hand look at State President Abigail Bertz’s presentation. 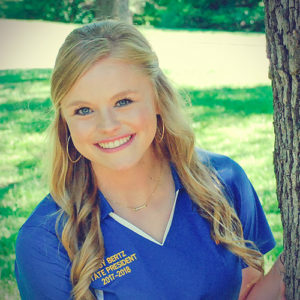 A Facebook Live post of your Missouri state FFA officers singing the National Anthem in the Whispering Gallery also took place on Mon., Feb. 5. Missouri FFA is proud and honored to share that this video has generated more than 157,000 views and was picked up by Todd Starnes of Fox News that same afternoon. Check out the video on our Missouri FFA Facebook page. Other news on the annual Legislative Day can also be found there as well. Attention all FFA Members & Advisors! Plan to attend the Focus on Agriculture Careers event. FFA day will be held Friday, February 23rd. Kansas State FFA and Missouri State FFA leadership are eager to share a message about how your students can become advocates for Agriculture and Hunger Awareness; making a difference in their communities and schools. We encourage Advisors and Students to make a special visit to the OSU booth this year. FFA Canned and Nonperishable Food Border Battle at the Western Farm Show! In support of the 2018 National FFA Week and FFA Day at the 2018 Western Farm Show, FFA members from Missouri and Kansas are encouraged to gather and bring canned and nonperishable food to donate to Harvesters Community Food Network. Your chapter could win $500 for bringing the most canned and nonperishable food items! Complete the form below with the number of students your chapter plans to bring to the Show submit via the website or print and fill out the form and FAX the form back to us. You will receive your complimentary tickets in February, along with a letter providing details about parking and other information. Please be sure to fill in your Western Farm Show FFA ticket request form below. Ticket Request orders received after February 2, 2018 will not be mailed, but left in “will call” at the ticket office at the American Royal. The ticket office will open the morning of Friday, Feb. 23. For questions, contact Ken Dean (kdean@westerneda.com). Mark your calendar for these up-coming leadership development programs and scholarship application deadlines. 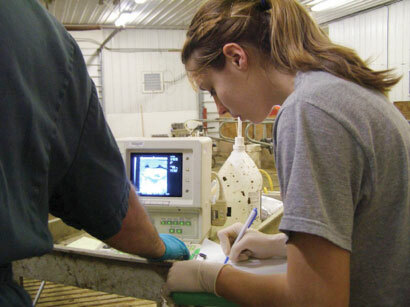 Feb. 1 – Missouri State Fair Foundation Youth in Agriculture Scholarship Applications Due. Check with your FFA advisor about State Degree, Proficiency Award, State Chorus, State Talent and State Officer deadlines. 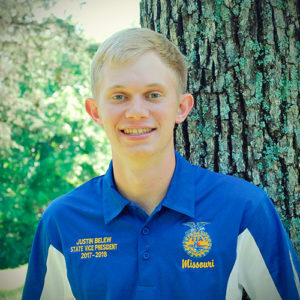 The first ever Missouri FFA Food Insecurity Service Day was held last August during the 2017 Missouri State Fair, and plans are already well underway for this year’s event. Set for Aug. 14, this year’s project hopes to package 100,000 meals for food banks across Missouri. Missouri FFA teamed with Missouri Farmer’s Care for the first Missouri FFA Food Insecurity Service Day. On Aug. 15, 2017, more than 350 FFA students and volunteers spent the day packing 52,032 meals to feed families of up to six people. 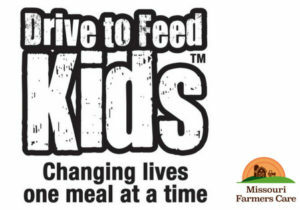 In an effort to combat childhood food insecurity in the state, Missouri Farmers Care has launched a summer of service with Drive to Feed Kids, a program that leverages existing food bank and distribution networks to deliver kid-friendly meals to youth. Food is delivered through backpack programs and in-school food pantries to help children in food-insecure households. Dr. Alan Wessler, chairman of Missouri Farmers Care, said the Missouri State Fair is an appropriate venue to celebrate the best of Missouri agriculture as well as address the food-security challenges that too many Missourians face. Children are at greater risk of hunger than the general population. Across all counties, 21 percent are food insecure, compared to 14 percent of the general population. Food-insecure individuals are often ineligible for federal nutrition programs such as the Supplemental Nutrition Assistance Program (SNAP) and free and reduced-priced school lunch programs, underscoring the importance of not only the charitable food assistance sector but also a strong and effective safety net of public nutrition assistance programs. 76 percent of counties in the top 10 percent of food-insecure counties are rural. Predominantly rural counties have higher rates of food insecurity than urban counties. Interested in serving other FFA members? 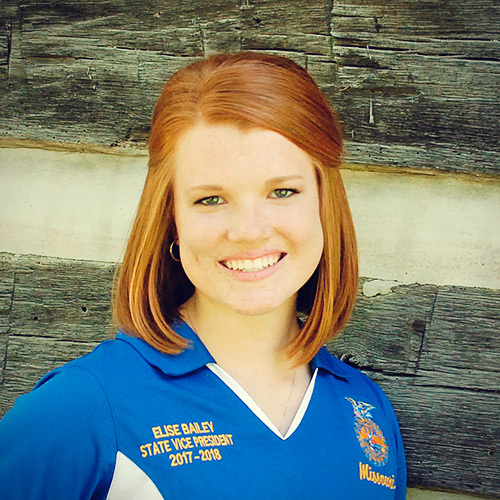 Consider sharing your skills and talents by becoming a Missouri State FFA Officer? Check out the state officer application procedure at state convention here. 2018 has arrived. Hopefully 2017 brought you much love, sacrifice and success. With 2018 we find new beginnings and the opportunity for better than we might have had last year. As most of us find ourselves doing, I was recently scrolling through my Facebook feed. On this social media platform, I have friends from my hometown, around the state, nation and even world. Every day, the app provides me with opinions, pictures and memories from each of these people from all kinds of places. Yesterday, however, this app provided me with a special kind of motivation, motivation from a very special lady right from my hometown. Just like Ms. Stever, we can embody “better” by thinking about how we can better ourselves, get better at being ourselves, and hold ourselves to a standard of better. We can be better friends, FFA members, siblings and students. There is, and always will be, room for better. This year, let’s find what makes us better and what makes us want to be better. I know the organization we call home is a stepping-stone in this adventure. Allow it to by helping a friend with his or her upcoming Career Development Event, signing up for your first public speaking contest, going to FFA Camp, or even encouraging others to do the things that you found benefit from. A better you for a better us, and ultimately a better organization, industry and world. Like Ms. Stever, I pledge myself to be better. Will you?